An award winning freelance photographer, Wayde Carroll is based in Anchorage, AK where he lives with his wife and two children. His specialty is editorial assignments, lifestyle and travel stock photography, as well as on-location commercial and architectural photography. He has also led photography tours and workshops in Alaska and around the world for the past 13 years. Wayde fled to Alaska soon after receiving a B.A in Art with an emphasis in photography from San Jose State University in 1993. He spent a year with Yup’ik people in the bush village of Eek, documenting their lives, and then two years assisting some of Alaska’s top-notch photographers including Tom Bol, Clark Mishler, and Keith Sutter in California. By 2006, he was ready to quit his “real job” to pursue a career as full-tim photographer. 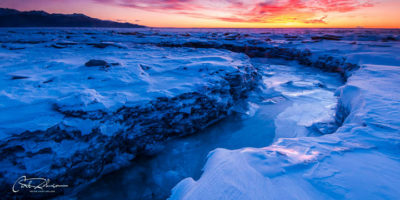 A pro member of the American Society of Media Photographers / Alaska Chapter, Wayde’s stock images are represented by several agencies and are regularly published in numerous regional and national magazines, books, calendars, websites, newspapers and annual reports. Reuters, National Geographic, Alaska Magazine, First Alaskans Magazine, New Mexico Magazine, VIA, Sierra Heritage, Anchorage Daily News, The Sacraments Bee, The Milepost, BP, Providence Hospital, HMS Host, Cook Inlet Tribal Council, and Alaska Marine Highway are just of few of Wayde’s clients. Wayde has a passion for discovering new places and providing unique perspectives on familiar places. He has led numerous photography tours and workshops in Alaska, California, Costa Rica, Guatemala, Tanzania, Ireland and Japan. His laid back personality combined with attention to detail and dedication to client satisfaction have secured Wayde a loyal customer and photography student base.